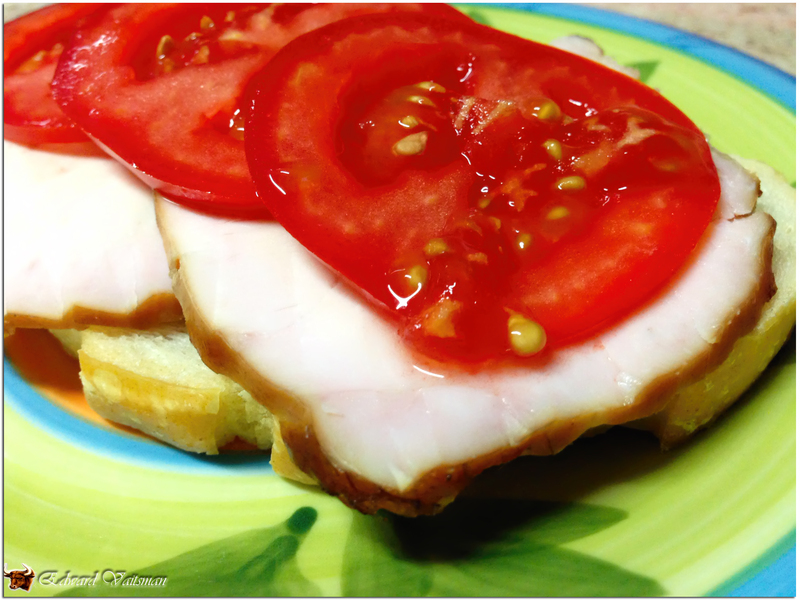 Honey & orange smoked turkey pastrami – it ain’t gonna get healthier than that! It’s been a long time – work kept me busy and travelling, mainly in Austria, but here I am, shaking the dust off my smoker and bringing you one of the easiest and cost-effective recipes I know for a smoked turkey pastrami. The honey-orange glaze adds an extra layer of sweetness to this lightly savory meat, resulting in the most tasty pastrami I’ve tried since quite a long. So, first – we brine the turkey. 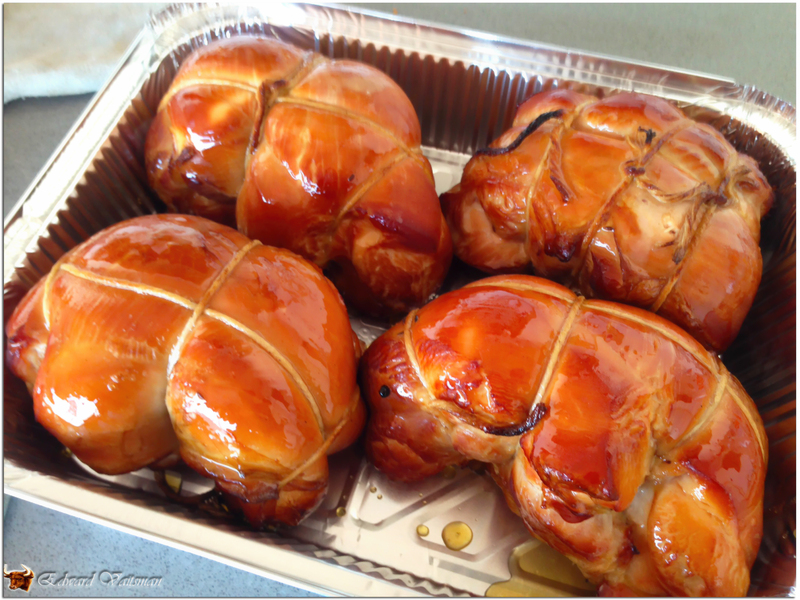 Brining is, basically, a method to make the meat absorb liquids. I could lecture you now for an hour about what osmosis is, but simply trust me – this thing works! Big time! So, in a medium saucepan combine 1/2 gallon of water, salt, sugar, black peppercorns, allspice, bay leaves, cloves and the cumin seeds, bring to a boil and cook on medium heat for 10-15 minutes. Then – add the remaining cold water and let chill to a room temperature. Note – do not use brine until it’s fully chilled. Using a hot brine can screw up the whole process. So, once your brine is cool, put the meat in a dish big enough to hold it and pour the brine on top. Add the garlic and slices of lime (lemon) and refrigerate, covered for at least 24 hours. Take my word for it – it’ll worth the wait. 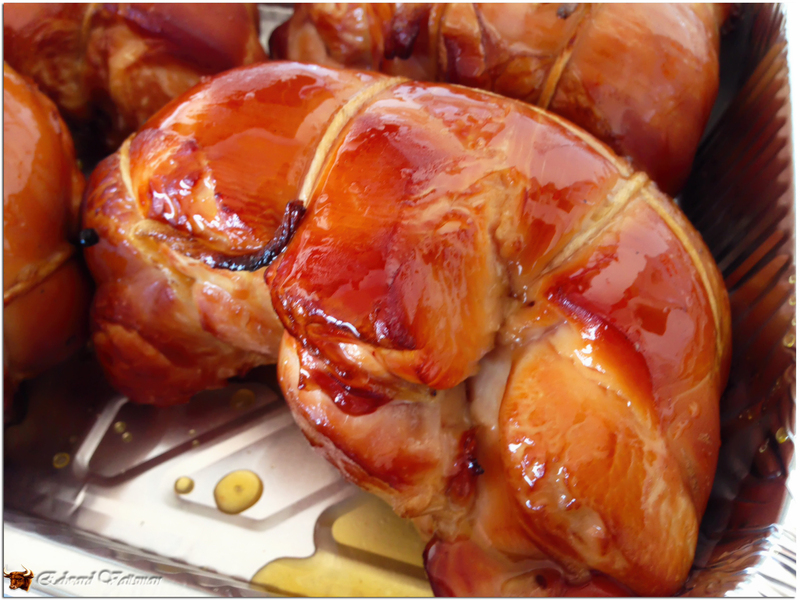 The glaze – you can make it any time ahead and keep in the refrigerator, or simply before basting. All you need is to mix the honey with the orange juice and stir until blended. By the way, it’ll be way easier if you heat the honey in the microwave for 20 seconds. Personally I prefer to truss the turkey before smoking, but it’ll work well also without trussing. To me it looks prettier and forms the meat cut evenly. As I said, nice but not a must. But if you do decide to truss it, make sure you use a cotton butcher string, and not some synthetic or elastic one. I smoked the pastrami on peach wood, 250F, for about 3.5 hours, until IT 165F. During the last 15 minutes of smoking – basted the pastrami with the honey-orange glaze, for the gloss and sweetness. .
After the pastrami is ready, take it off the smoker, cover with foil and let rest for about 30-45 minutes. Then slice and enjoy! This entry was posted in Poultry and tagged BBQ, brine, brining, easy, healthy, honey, orange, pastrami, smoked, smoker, turkey. 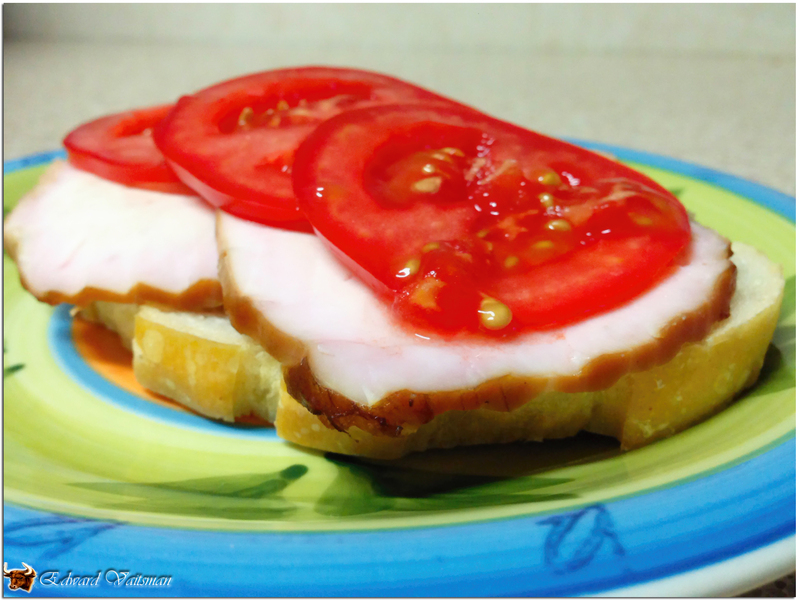 turkey pastrami – never heard of that one before… I’ll have to give it a go! Oh believe me, you’ll love this one. I am making it weekly now.